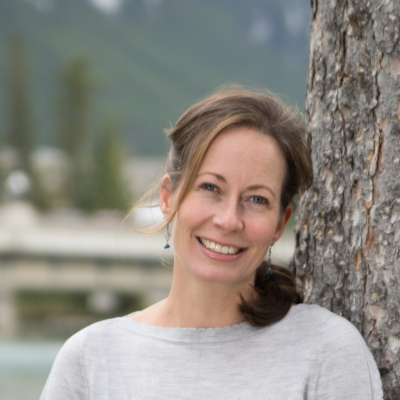 Carolyn Withey, or Caz as she is known by most, is a mortgage professional proudly based in the Bow Valley. She has made this valley her home for nearly 20 years and understands the struggles of making this mountain paradise your permanent base. She also knows from experience that it is worth it! This beautiful valley stretching within the Canadian Rockies is not just a fantastic place to recreate, it's also a place to set down roots, to raise kids or to retire. Whether you live here for the beauty of the surroundings, a love for the small town atmosphere, or you are in-love with adventure, there are so many reasons to stay. The Bow Valley offers the opportunity for the lifestyle you choose! The services I offer as a mortgage professional can help when you start looking at your options! I can help to save you time and money, while helping to alleviate stress at a very exciting time. Whether this will be your first home purchase or your fifth, there are many angles to a new mortgage. A mortgage's features can be as valuable as a great rate. For the majority of people, a mortgage is their largest financial obligation, and it pays to look at the big picture. A mortgage professional will look at numerous options at once and fit your mortgage needs to you, based on the best option availble from the large number of lenders they work with directly. This includes big banks, a large number of the biggest Canadian lenders, as well as private lending options. Where a bank can only offer one line of options, a Mortgage Professional can access over 30 different lenders, each offering their own full line of different products to suit your possible situation. The best part is my advice is free! A mortgage professionals services are paid by a lender, except in very particular situations. It is worth exploring all of your options, give me a call!